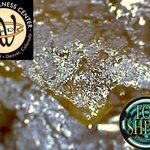 Wide variety of premium quality cannabis, hash (Top Shelf Extracts), and edibles. Best prices on glass in Denver. First time patients get member prices on everything. Check out our ad in The Chronicle for even bigger discounts. We serve BOTH Medical marijuana patients, as well as Recreational customers over 21, with a valid ID. Credit Cards accepted for Medical ONLY. ATM available in lobby.